Maximum results with minimal discomfort! Check out our great new laser facial service! We laser micro-bladed and tattooed eyebrows. Specially trained in permanent makeup. We are top rated on Facebook, Google+ and Yelp for tattoo removal Reno! Reno Tattoo Removal uses the most advanced laser technology on the market. Whether you desire complete tattoo removal in Reno, or fading for a future cover up, we are here to help. 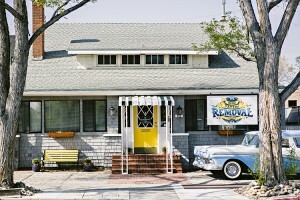 R.T.R is a Husband and Wife team that strives for the best customer experience possible. 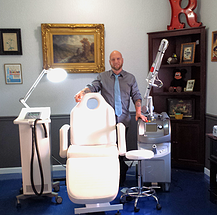 Reno Tattoo Removal is proud to be able offer the Quanta Q-plus three wave length laser service in Northern Nevada. 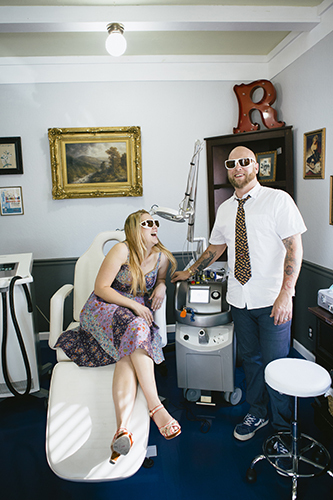 RTR’s licensed and certified laser tattoo removal specialists offer professional tattoo removal services in a comfortable, modern environment. All services are under close, highly qualified M.D. supervision. So any medical conditions or concerns can be directly answered by our on staff M.D. Tattoos and tattoo removal have become my passion. My interest in tattoos led to my fascination of different inks and how these can be manipulated in the skin, whether through application or removal. Through my education, applied techniques, and personal experience with tattoos, I strive to create the most effective and comfortable experience for my clients. Having an unwanted tattoo may not only be a nuisance, but takes an emotional toll. Whether your goals are complete removal, or fading for future tattoo placement, a consultation can help us create a plan that works for your unique target. Being able to help my clients is the true core of my business. I was born and raised in Reno. I love this town and the people that live and work here. Come see how Reno Tattoo Removal can help you.